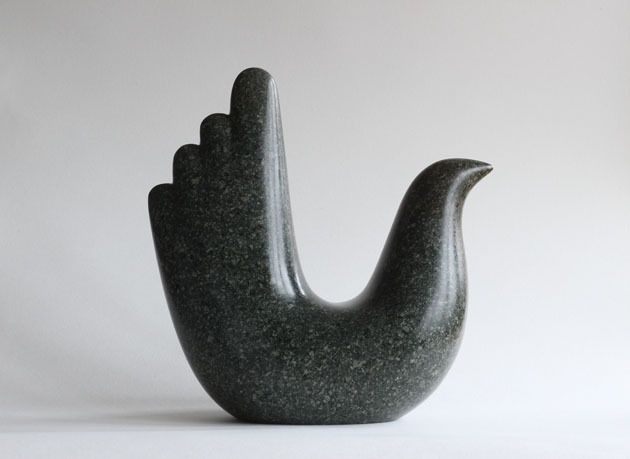 Here is my sculpture Tall-tailed Bird, carved in Cornish Soapstone – the one I was sanding the other day. The sculpture is now finished and polished ready for my exhibition at the weekend. Art& York exhibition – Friday 27, Saturday 28 and Sunday 29 October, 2017 – I’m on Stand No. 83. Look forward to seeing you – please do come and say hello – full details below of this excellent event and listing of all the other exhibitors too!